So be sure to check out each category and hopefully something will inspire you. 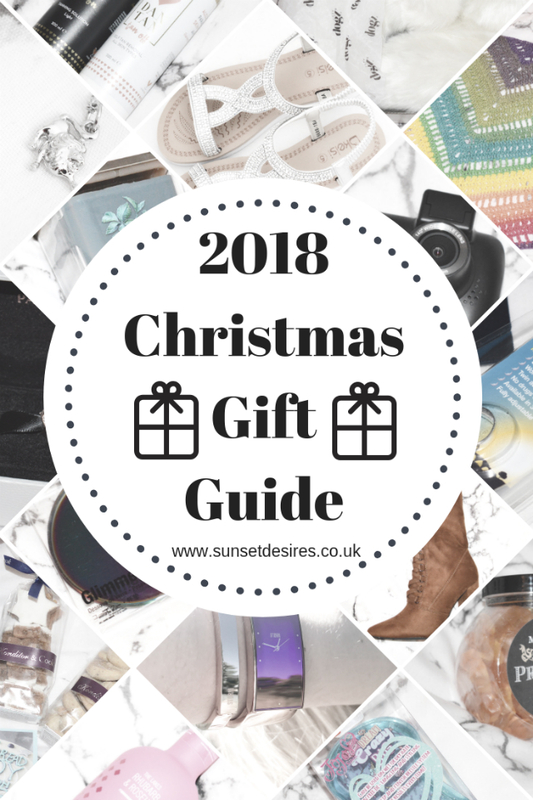 Some of the items in this gift guide have been sent to me for the purpose of this post, some are from past collaborations and some include affiliate links. All opinions are of course my own. Items marked with * are for the purpose of this post. Items marked with = are from past collaborations. Items marked with + are affiliate links. Know someone who is a tanning lover? Why not get them Dan Tan to try? This is a fairly new brand, 2017 to be exact and it is local in the area to me. Their products are simple, Tan On or Tan off in 2 different shades for different skin tones. They also do a Tan Mitt so this would make a lovely gift set for any tan lover. This set from Rituals contains a shower foam, body scrub, body cream and hand wash. It is based on Indian Rose and Sweet Almond Oil. They also do many other varieties if this doesn't sound up the street of the person you are buying for. It comes in this lovely little box which could be reused for something else after too. Philips Satinelle Prestige is more than just an epilator. It comes with 9 different heads to use including the epilator head, an exfoliation brush and even a body massager. It is definitely something to consider for someone who is looking to change it up from a normal razor. My mum will be receiving this from me and I will be doing a full review of it so definitely look out for that post after the new year. Beauty Kitchen is also a fairly new brand, well to me at least. I came across them this year and they have a huge variety of products. 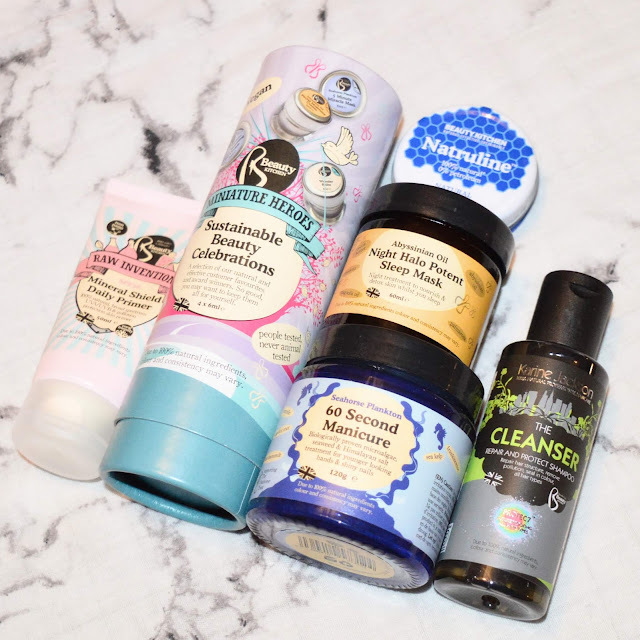 They are all natural ingredients and sustainable packaging so they are really great choices for people who are looking to be more conscious of the beauty product choices they make. Konditor & Cook are a bakery based in London that does home deliveries as well. 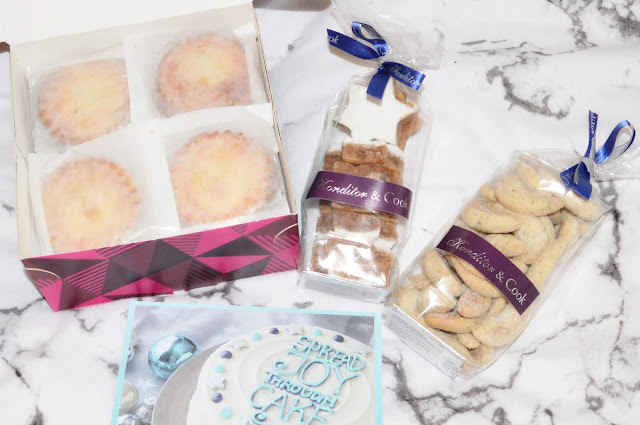 They have a wide range of baked goods and have a lovely Christmas collection. I can confirm their mince pies are very tasty and their cookies are lovely. These gummies are from an online shop called Personally Presented and as you guessed it they do personalised items. 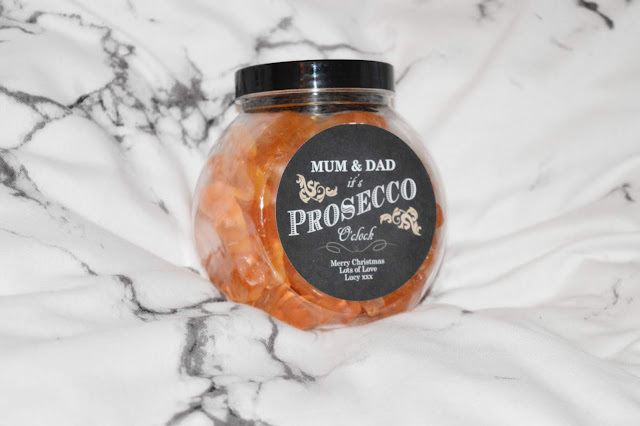 They have a section for sweets & treats from which I personalised my own Prosecco Gummies but they also do almost every other gift item you can think of. I'd definitely say check it out for you will find something perfect! Now caviar is something I have never tried but I will be taking a jar of this to my Aunties for Christmas Day and trying it for the first time. 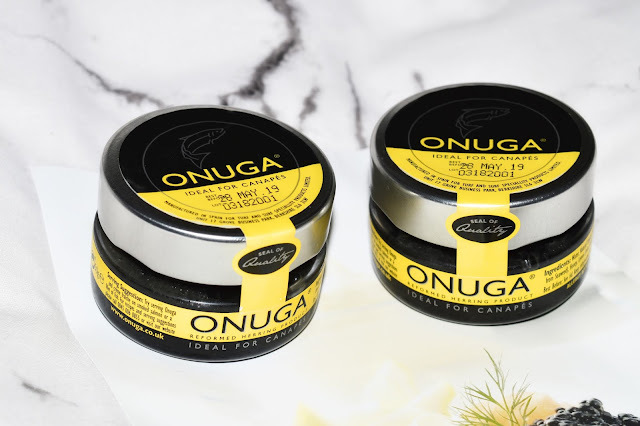 I've heard caviar is expensive in general but Onuga is only £4 per jar hence the phrase 'Not So Costly Caviar'. This is classed as a 'worthy and delicious substitute' according to the owner of Onuga. 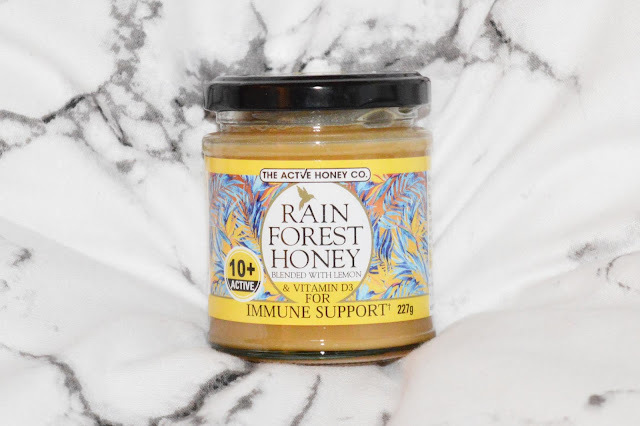 I almost didn't put this in the Foodie category as I found out recently that honey can also have many uses such as bath soak, a face mask and even used to alleviate skin conditions. This one also includes Vitamin D3 which is good for immune support. I've wanted to make my own sushi for a while now so this kit is perfect for that. 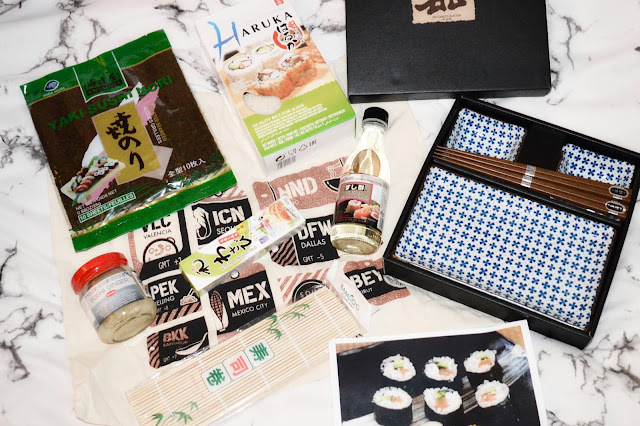 The kit includes sushi rice, nori sheets, wasabi paste, pickled sushi ginger, a sushi rolling mat, sushi vinegar, a recipe card & a sous chef drawstring bag to keep everything together. Why not pair it with a Sushi serving kit to make it the perfect gift? 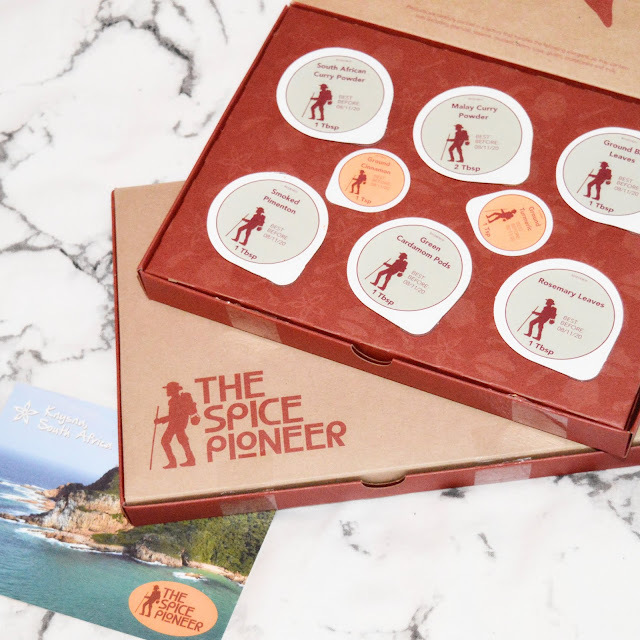 Another interesting food kit is this spice subscription kit from The Spice Pioneer. Each month you will be sent a kit with various spices and seasonings in. They also include easy to follow recipes and is definitely good to inspire anyone to cook something interesting. Each month is a different location and the spices are inspired by that location. 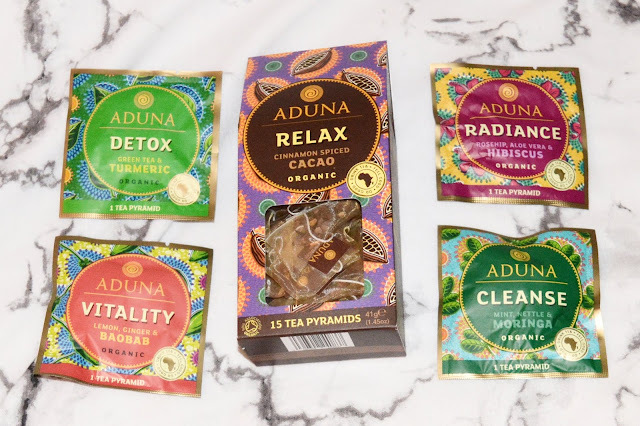 Each tea is made with quality ingredients and each has a unique feel-good benefit. They come in 5 different varieties and it would be interesting to try all 5. You don't have to buy a full box either as you can buy single tea bags which is an awesome idea if you want to sample them first. Gin is a huge thing at the minute, isn't it? I know so many people who love it and love trying different ones. 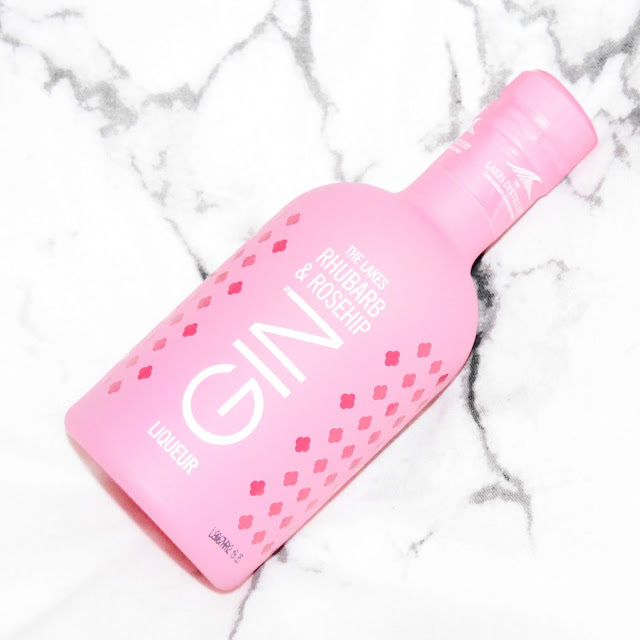 This Gin from The Lakes comes in this amazing eye-catching pink bottle, which I definitely took a liking to and is in Rhubarb and Rosehip flavour. I can confirm this tastes lovely. I have also tasted their Gin Baubles Gift Set which featured on last years Christmas Gift Guide of which you can find HERE. I feel like everyone who owns a car NEEDS a dashcam. If you are ever in an accident it is so easy to look back on the footage to find out exactly what happened and why. 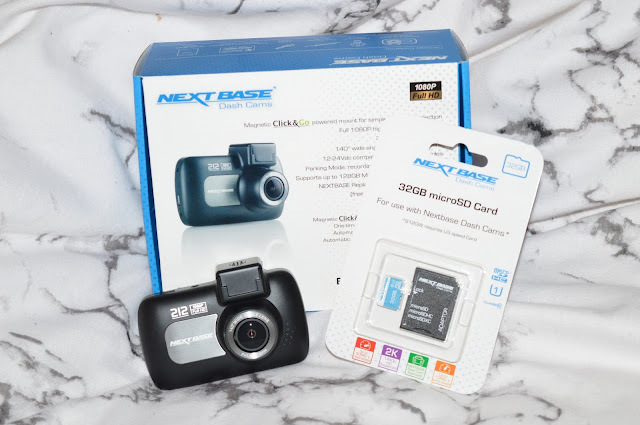 The 212 Dashcam by Nextbase offers HD recording and is super easy to install. It also isn't super pricey like some of the other dashcams I have seen about. Perfect for any driver. My slippers go on my feet as soon as I get home and don't come off. I especially love fluffy, boot style slippers in the winter time and these are perfect for just that. They are so soft, thick and comfortable. They also have a durable sole so won't wear out straight away. If you are looking for something more slipper like and less boot like you can find more of Lazy Dogz slipper range HERE. 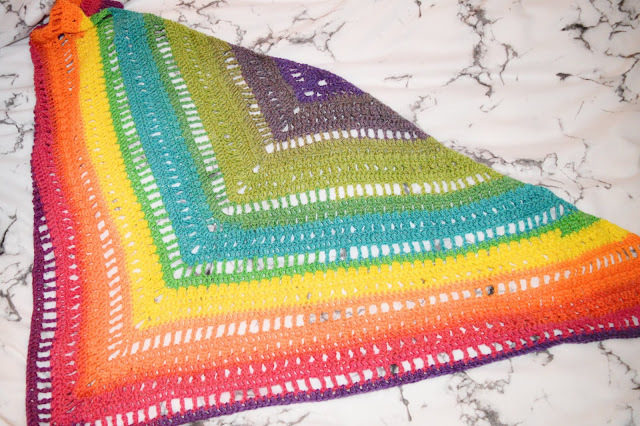 I love receiving as well as gifting handmade items and this one comes in the form of a rainbow summer crochet shawl from Jasmin's Handarbeiten. If you are looking for more crochet handmade items then this is a great place to look. 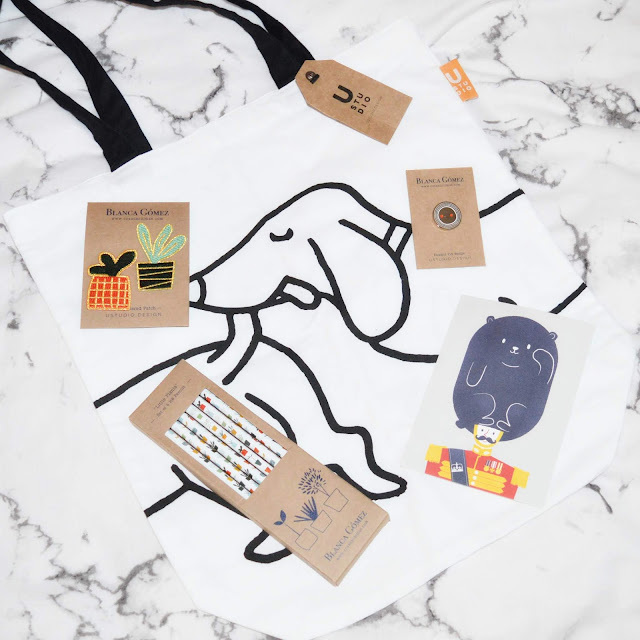 She has some lovely designs such as hats, blankets, cup cosies and even bibs. Got someone in your life who loves more eclectic, grungy items? Then you definitely need to check out T.U.K. They do a lovely range of grungy and punk style shoes. 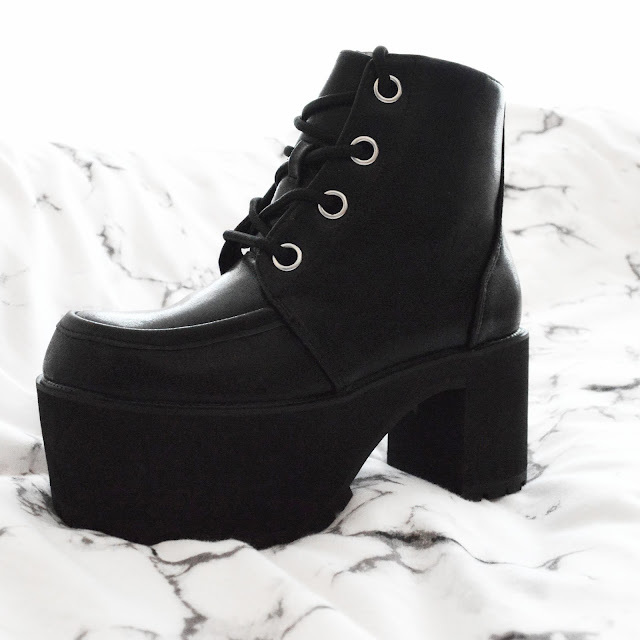 These ones are the Distressed Black Nosebleed Boots and they have a 9cm platform heel! These sandals could almost make it to the magpie category of this guide with their silver diamante's featured. These sandals would be perfect for summer as well as a sun holiday abroad (which is where I took mine). They look good with almost any outfit which definitely helps when you are short on luggage space and weight. They have a stretchy ankle strap which means they are easy to put on and also stay in place too. 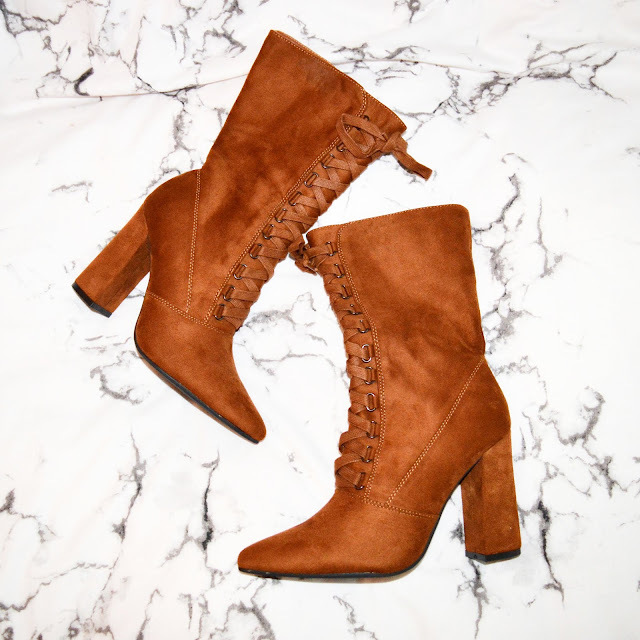 For a more winter style shoe, you should definitely check out the Ovvo Camel High Top Ankle Boots by CuCuFashion. They are in this lovely shade of brown and are a little longer than ankle height which makes them perfect for winter. They have a 10cm chunky heel which means they are easy to walk in and also feature a toe point which gives them more of an edge. A definite must for any boot-o-holic. Another more personalised item now but in the form of jewellery. 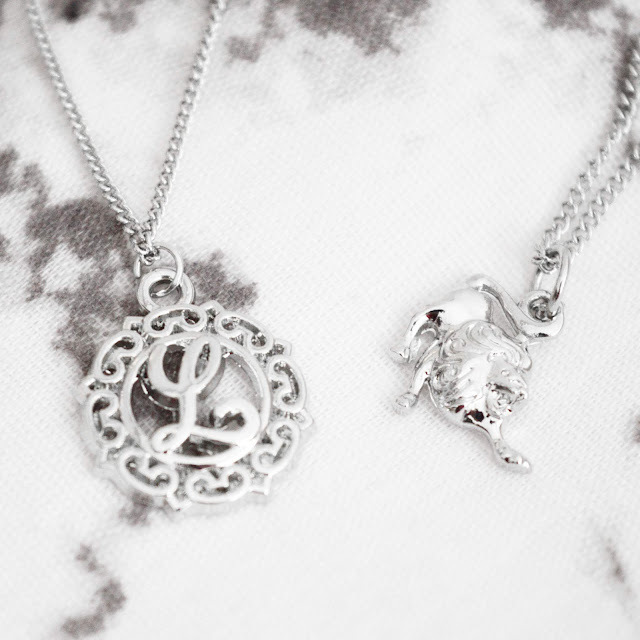 This lovely Zodiac Boho Necklace comes from Shop Dixi which is my favourite online jewellery shop and my collection is basically 90% Dixi. I picked the lion as I am a Leo but they do all the different star signs. I would recommend checking out the rest of the shop as like I said they have such great products for jewellery lovers. Know someone who has a Pandora charm bracelet? Then you can't go wrong with a Pandora charm. They currently have 746 charms on their website so definitely plenty to choose from. Know someone stylish who loves watches? Why not get them this gorgeous rose gold and purple watch from Storm. 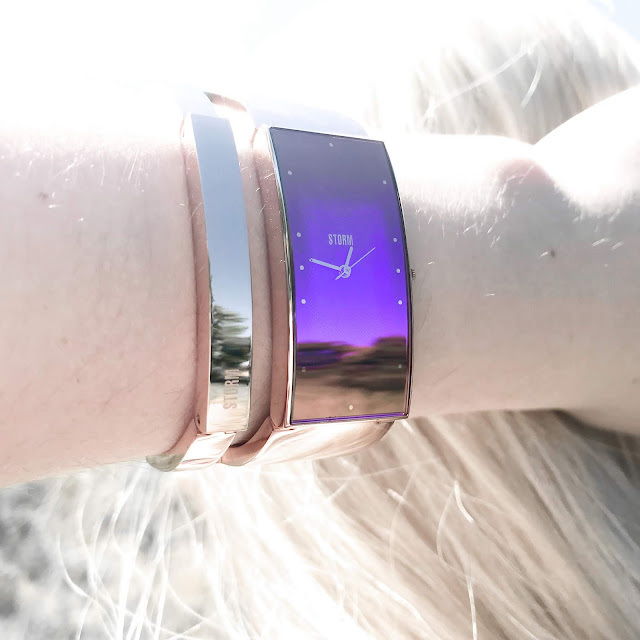 It is the most unique watch I've seen as it features a separate section which looks like a bangle bracelet and has a long purple face. It's definitely a statement piece. 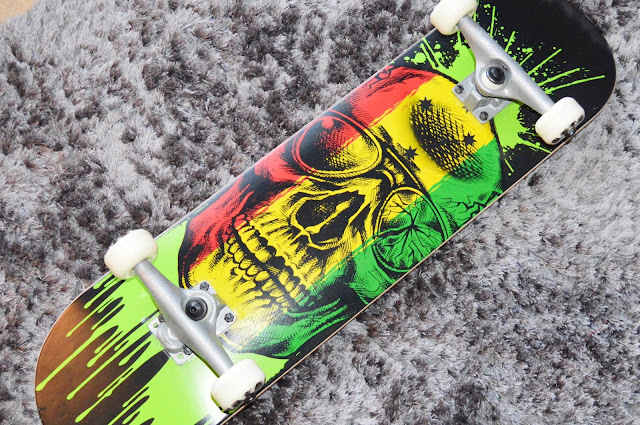 How cool is this skateboard? The design is so striking. If this particular design isn't what you are looking for, you can check out the website for many more choices and also be sure to check out their scooters page if that is more suited. A skateboard is definitely one of those classic items that I'm sure children of today can still appreciate and enjoy. I hear JoJo Siwa is quite a big deal in the online children's universe. Why not get a JoJo fan this hairbrush which also has a fun secret compartment to hide their bobbles and bows in although the blue version above is see-through. It has the ability to switch the hairbrush around for different bristle types. This brush comes in 4 other colours including, pink, white, purple and gold with the rest of the varieties not being see-through. 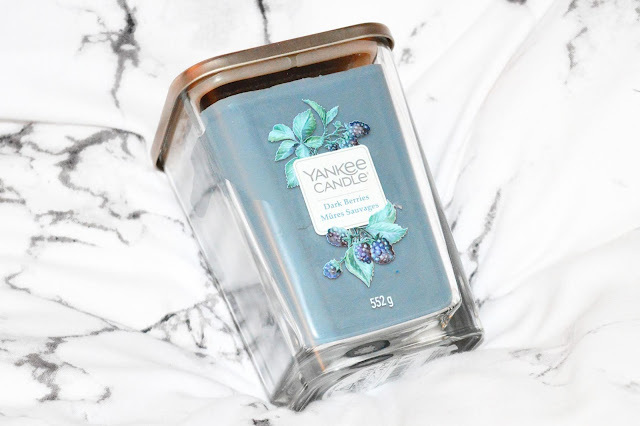 A new shape and size Yankee candle for 2018. It has 2 wicks and this one is Dark Berries scent. The fragrance notes are; Top: Blackberry, Mid: Rose and Peony and Base: Cashmere Wood and Musk. I can confirm this smells lovely but they have many more choices if you are looking for something different HERE. Know anyone who loudly snores every night? 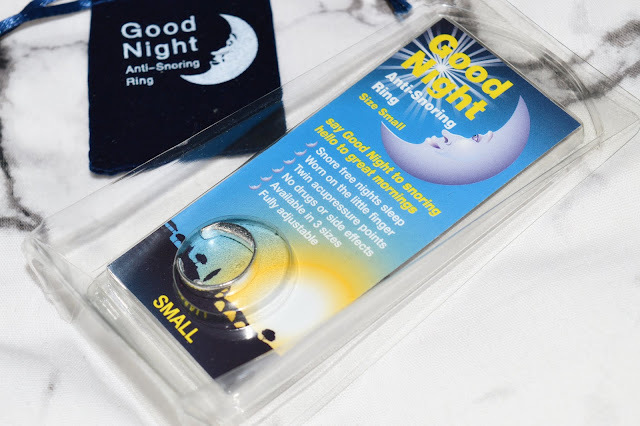 Then get them this anti-snoring ring by Good Night. I'd say it's definitely worth a try and I will be gifting one to my dad this year! 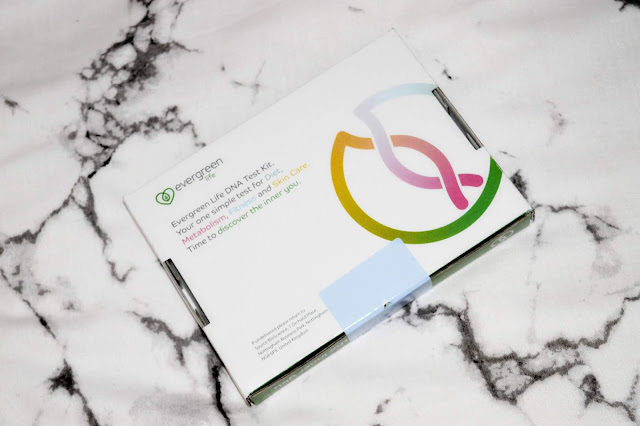 For the most unique gift idea I've seen is this Evergreen Life DNA Test Kit. It basically tests your DNA and gives you insights into your diet, metabolism, fitness and skin so it could be really handy in understanding your body and your health. I will be doing one of these DNA tests soon and hopefully doing a post about my experience so you should definitely look out for that next year. They currently have an offer running for a 40% discount on the DNA Kit. The offer ends on the last day of December. Last but certainly not least we have some little gift ideas from U Studio Design and more specifically the collection Blanca Gomez. 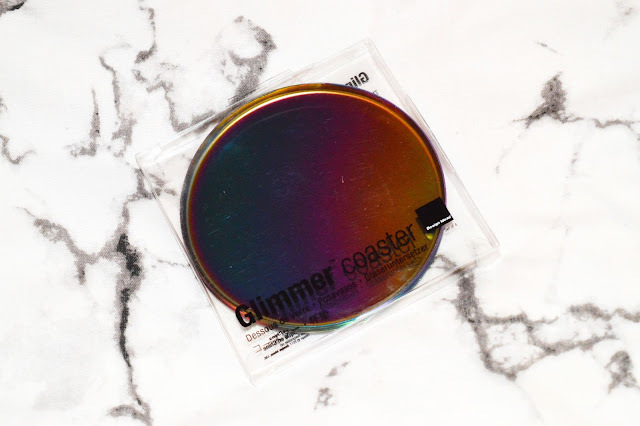 They include items such as stationary, mugs, patches, pins, coasters and more. These could make ideal stocking fillers. If you like the idea of these you should definitely check the site out and look at some of the other collections for more ideas. Did any of these items inspire you? If so let me know in the comments below. Want to check out more of my past gift guides? You never know you might find more Christmas gift ideas! Wow what a great selection of gifts! Thanks for this! Blogmas 2018 Day 4: Advent Calendars On Sale!